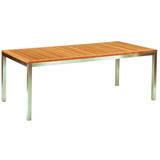 Shop Outdoor dining tables & chairs by top brands like Kingsley Bate, Ratana, Woodard & Brown Jordan. 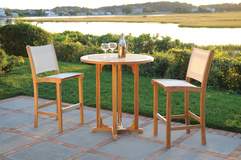 Wicker, metal & Teak patio tables & chairs with free shipping. We bring a whole new caliber of Outdoor Dining to your backyard. 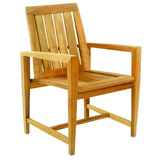 Regardless of whether you are dreaming up the perfect dinner party or setting the stage for casual conversation, you can create just the right outdoor dining set from our huge selection of outdoor dining tables and chairs. 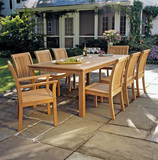 Our outdoor dining tables and chairs are made by top brands like Kingsley Bate and Woodard that feature all-weather upholstered cushions and durability. 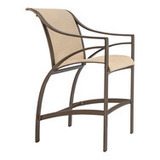 Quickly match your style by filtering products based on your material preferences such as: Aluminum, Wicker, Solid Teak, and Stainless Steel.